Ah, LOLsuit III: The Search for Schlock—it was a marvelous source of pointage, laughrtery, and mockification. 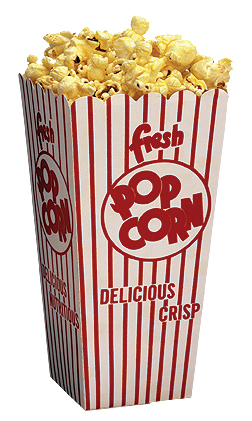 If I hadn’t been one of the defendants, I might have enjoyed watching the Cabin Boy™ make a fool of himself with a long, drawn out case. As a defendant, I filed a motion to dismiss which killed the case fairly quickly, but while that motion was pending, I did point, laugh, and mock. The TKPOTD from four years ago pointed out one rather spectacular error in The Dreadful Pro-Se Schmalfeldt’s complaint. The Cabin Boy’s™ LOLsuit that he’s filed against Eric Johnson, a couple of John Does, and me is a real piece of … um … of work. Paragraph 40 is particularly entertaining. Notice that he starts out by saying we said false things about him but ends up saying that we gave unwanted publicity to private matters—which is an admission that what we said was true. I’m not kidding about LOsuit III being over in a hurry. The judge dismissed the suit two weeks after the Cabin Boy™ filed it. The judge found that Schmalfeldt was not entitled to file the case as a pauper, but didn’t require him to pay the filing fees because the case was dismissed for lack of jurisdiction. 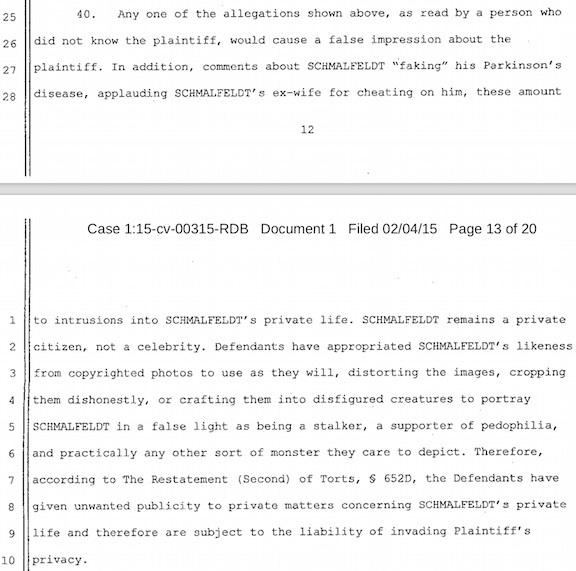 This entry was posted in Lawfare, Team Kimberlin, Trolls and tagged Cabin Boy Bill Schmalfeldt by wjjhoge. Bookmark the permalink. So he basically admitted that he does not have Parkinson’s. Can we really parody this guy? Or we just realistic?